Regent College Publishing has released The Tao of Right and Wrong, a primer on moral realism by emeritus UBC professor Dennis Danielson. Chris Morrissey, a columnist for The B.C. Catholic and lecturer at Trinity Western University, has written a timely review of Dennis Danielson’s The Tao of Right and Wrong. It is re-posted with permission from The B.C. Catholic. Danielson and Morrissey will discuss The Tao of Right and Wrong at TWU next Wednesday (October 10). Science studies facts, and everything that it can’t study is just subjective opinion? The realm of moral values has no objective basis? You have probably heard these crazy ideas before. But even if you have never heard someone say such incoherent things out loud, you should realize how deeply such relativism has penetrated our educational system. 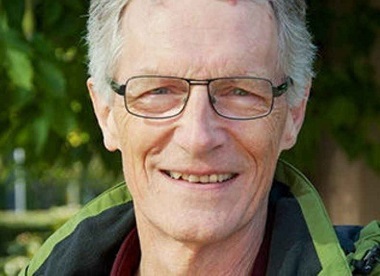 Emeritus UBC professor Dennis Danielson has written a book about how educators today are asked to implement moral relativism as a foundation for their teaching. But in The Tao of Right and Wrong: Rediscovering Humanity’s Moral Foundations (Regent College Publishing, 2018) he shows how contradictory that demand is. The problem is deeply enshrined, which Danielson demonstrates by quoting from official documents. Bullying and smashing school furniture, for example, are condemned by school administrations, but never with a straightforward moral vocabulary. Instead, such behaviour is deemed “challenging” or “inappropriate.” Yet if anyone were to inquire why the behaviour is challenging or inappropriate, they would not be told that it is wrong. Consequently, the main moral inference that a child will draw is simply that institutional power arbitrarily punishes certain kinds of behaviors. Danielson writes at length how disastrous this lesson is for children. They learn not that there are reasons why some behaviours are wrong, but rather that power is the only brake on behaviour. The unspoken lesson is therefore that one should acquire power, in order to actualize one’s will. It’s a profoundly immoral lesson. So, how did we arrive at this point? When the secondary virtues are inflated into a dogmatic relativism that eclipses all other virtues, we have a problem. Hence Danielson turns for help to C.S. Lewis’s classic book on objective morality, The Abolition of Man. Lewis’ book is 75 years old this year, but the appendix Lewis provides in that book contains perennial wisdom. In order to show that the principles of morality are not relative, but instead transcend time and place and culture, Lewis collects texts from Chinese culture that bear witness to what it calls “the Tao,” the path of human flourishing that is rooted in the existence of objective moral norms. In the appendix to his own book, he includes Lewis’s collection of texts that bear witness to the Tao, but Danielson updates the translations wherever necessary, and brings the references and quotations in line with the latest scholarship. Danielson also expands Lewis’ collection of evidence, adding texts from Buddhist, Islamic and Sikh traditions. The result is to put on display a transcultural moral consensus concerning the objectively knowable first principles of morality. Unlike the useless platitudes found in the official documents of modern educational bureaucracies, what Danielson provides with his book is solid common ground for recognizing the primary virtues that children need to learn. This repository of wisdom, which allows one to “stand in the Tao” (i.e., act in harmony with the first principles of morality), includes transcultural precepts about: general and special beneficence (duties to all of humanity as well as to country); duties to parents, elders and ancestors; duties to children and posterity; sexual justice; honesty; justice in court; good faith and veracity; mercy and magnanimity. Danielson’s book is best read in tandem with Lewis’s The Abolition of Man, which is now available in an excellent electronic critical edition for study, curated by Michael Ward of Oxford University. His edition has a helpful introduction, excellent annotations and commentary, and questions for individual or group reflection. After educators read Lewis and Danielson, they will want to read good books on virtue ethics, perhaps starting with Josef Pieper. But to best address the problem Danielson discusses about children becoming “humans without hearts,” there is no better philosophical resource than Dietrich von Hildebrand’s The Heart: An Analysis of Human and Divine Affectivity. The review above first appeared in The B.C. Catholic and is re-posted by permission. 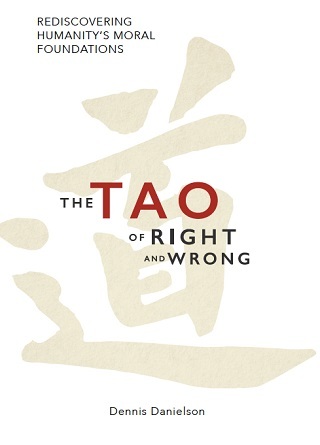 The Inklings Institute of Canada is hosting an evening of discussion about The Tao of Right and Wrong and The Abolition of Man at Trinity Western University’s Fosmark Graduate Collegium October 10 at 7 pm. Even if we can’t decisively answer the question, it’s worth pausing to ask why educators, and to a large extent the rest of us, have grown so squeamish in the presence of words like ‘right’ and ‘wrong.’ Why do we resort to euphemisms like ‘positive,’ ‘negative,’ ‘appropriate,’ inappropriate,’ ‘challenging’ and the like? Why does openly moral language make us as uneasy as a Victorian asked to discuss the details of human reproduction? No doubt many of us shy away from expressing moral judgments simply for fear of appearing ‘judgmental.’ Apart from the irony of claiming that a judgmental position is wrong, the pendulum may simply have swung away from hurtful, dogmatic or culturally myopic forms of judgment. Well and good. Others have perhaps felt that the best way of avoiding dogmatism, moralism, judgmentalism and authoritarianism is to adopt a thoroughgoing uncertainty about moral principles. We might charitably even think of this as a kind of humility. In any case, I suspect, such are among the nobler motives behind our reticence to use moral language. Another less noble, but still understandable explanation may have to do with the ‘myth of progress,’ as it’s sometimes called. In the West and many other places in the world (although certainly not everywhere) human beings today enjoy on average better health, longer lives, more comfortable circumstances and so on than they did in the past. Such improvements seem to support the easy blanket assumption that ‘now’ is better than ‘back then.’ Sometimes it no doubt is, but that doesn’t justify any wholesale affirmation of the superiority of the present state of things. Yet those of us who are no longer young know that one of the most devastating and unanswerable criticisms we can receive is that we’re ‘old-fashioned’ or ‘backward-looking.’ The very idea of a moral code can appear antiquated or parochial. And so we’re perhaps afraid that, if we used openly moral language, we’d appear regressive and, again, intolerant. Nobody wants to appear a throwback. As already argued, however, there’s no avoiding certain kinds of moral intolerance. Innumerable institutions and firms today have found it necessary to state explicitly, for example, that bullying or workplace harassment won’t be tolerated.
. . . To begin the mammoth task of reawakening our educational curricula and institutions to the moral challenge we face today, we therefore need to go deeper. So let us rekindle our confidence in the reality of ultimate sacred postulates and unashamedly teach them to ourselves and our children. Not least among the incentives for this process of moral reeducation is the recognition that “virtues benefit their possessor” [Hursthouse] as well as the wider society in which they are exercised. Vancouver Sun columnist Douglas Todd wrote a very interesting article about Dennis Danielson and The Tao of Right and Wrong: Why say ‘inappropriate’ when we mean ‘wrong’?